After six and a half years with one form of Statusfirm or another I have handed in my resignation and am awaiting to begin the next chapter in my career. Over the years a lot of employees have left, the dynamic of the company changed and slowly the joy of work was sucked out. A big reason for the decrease in satisfaction came from the events in late 2010. While not written about in the blog, those who I have spoken to in person know the story of the bankruptcy in December 2010. Ultimately, the entire staff was blindsided eleven days before Christmas with the news that Statusfirm was bankrupt and we were all told to go home. 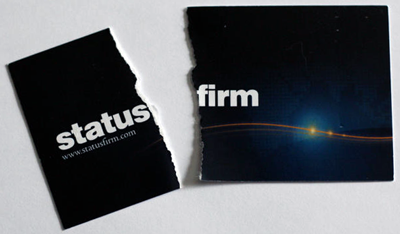 What remained of Statusfirm was acquired by another company and nearly all employees were hired back in January 2011. Everyone was wondering how long this would last for and the attrition began as people started to leave for secure employment elsewhere and with each departure morale dropped a bit lower. I have been looking for a job since the day after we were laid off but I didn’t get serious about applying until the summer of 2011. I hired a resume writer (Jason at ResumesToInterviews.com did a fantastic job) and soon after I had six interviews with four companies and received two offers. 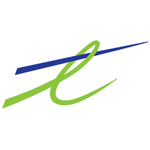 As of April I will be a Telus employee working as an IT Project Manager in the Business Transformation division of the company. A decade ago I didn’t think being a Project Manager is where I would end up but it was an opportunity presented to me at Statusfirm and I’m excited to begin a new phase in my PM career. In addition to not wearing jeans through the work week I also give up the freedom that the “startup” mentality that the Statusfirm/TeachersTV/TeachersMedia had. I am going from a place where things are done haphazardly and there is more reaction than a proactive attitude to an environment with policies, processes and more structure. To save on the cost of parking I am going to do something I haven’t done since High School; take a bus. There will be some challenges, some unexpected surprises along the way but I hope I can look back on this decision years from now and have no regrets in leaving the comfort zone of the familiar and going into the unknown corporate world.